ONE OWNER TRADE IN! This local XC60 has been well cared for and was just traded for a new one! Nice low mileage vehicle with some great options on it. This XC60 comes Certified Pre Owned backed by a 6Year 160,000K warranty (from in service date) This Premier Plus comes with some very desirable options like power liftgate,power seats,heated front seats,back up camera,bluetooth,blind spot assist,keyless drive,and much more! This unit will not last long! FRESH ACCIDENT FREE TRADE IN! This XC90 7 passenger Momentum is in great shape and has some amazing features! 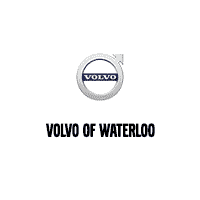 Comes certified with Volvo's 6 year 160,000K warranty (from in service date) lots of worry free driving ahead! This Momentum is extremely well equipped with leather interior,heated windshield,heated first and second row seats,heated steering wheel,keyless go,dual pane sunroof,LED headlights with cornering lights,pilot assist,back up camera with park sensors,NAV,and much more! Priced to move quickly! Gorgeous Ember black colour with charcoal interior,this paint really needs to be seen in person to see how awesome it is! This XC90 T6 Inscription comes with Volvo's 6YR 160,000KM Warranty (from in service date) You will also love the features this XC90 includes. Like 360 camera,park sensors,blind spot monitor,heated seats and steering wheel,NAV,adaptive cruise control,power liftgate,and much more! Priced to move quickly as we are over stocked! Here is a rare find! One owner,accident free! This vehicle was bought here new and due to a growing family they needed to move into the XC90. Very hard to find lightly used new body style XC60's,and now we have the show stopping Fusion Red T6 Inscription with lots of features! This XC60 comes with heated and vented leather front seats,heated second row seats,heated steering wheel,360 camera,blind spot monitor,lane assist,park assist,pilot assist,dual pane sunroof,power liftgate,LED headlights and fog lights,cornering lights,and much much more! Priced to sell fast! ONE OWNER,ACCIDENT FREE,6 YEAR or 160,000K WARRANTY INCLUDED! This is a very nicely equipped XC90 R-Design. This vehicle has all the features you want in a luxury SUV like heated first and second row seats,heated steering wheel,bluetooth,memory seat,NAV,360 camera,blind spot assist,park assist,pilot assist,park sensors,7 passenger seating,power liftgate,22inch alloys and carbon inlays. Very clean vehicle and priced to sell fast! JUST IN TIME FOR THE SPRING AND SUMMER DRIVING! This is the perfect little convertible for those warm days and nights driving with the top down. If it gets chilly,don't worry cause you have heated seats and neck warmers!! This SLK is a power hard top convertible that is powered by a fuel efficient but fierce 1.8 Turbo 4 cylinder. Mate that with a 7 speed auto and this thing is a blast to drive! This SLK has been very well cared for and comes with bluetooth,NAV,heated seats,neck warmers,keyless start,HID headlights,and much more! Priced to sell fast. Wow! Very low kilometers,only used as a fun summer vehicle and stored in garage over winter months. This TTS has been very well taken care off. layers upon layers of wax,and very clean interior. This TTS has the desirable 6 speed S-Tronic transmission,2.0 Turbo power house engine,Quattro all wheel drive,Navigation,bose sound system,carbon fibre mirror caps,black optics package,and much more! Accident free and priced to sell fast! FRESH TRADE IN! If you are looking to get into a Discovery Sport now is the perfect time with this vehicle. this Discovery Sport is in great condition and accident free one owner! You will benefit from Land Rovers 5 year or 160,000K warranty (from in service date) and will love all the features this SUV has to offer like heated seats,heated windshield,blind spot monitor,alloy wheels,keyless start,bluetooth,and much more! Book your test drive today,before it's too late! Gorgeous one owner,accident free trade in! This E300 has one incredible interior that you really must see in person to believe. Massive single screen display for everything like NAV,back up camera,entertainment,instrument gauges to show on... such a clean look. Extremely comfortable seats with power and heated front,heated steering wheel,fully customization interior ambient lighting,LED headlights,massive sunroof,upgraded sound system,pilot assist cruise control,blind spot,the list goes on and on! Lots of value in this vehicle. PRACTICALLY NEW! This black beauty is an HSE model with heated windshield,blind spot monitor,traffic sign detection,360 camera,lane keep assist,NAV,keyless enter N go system,and much more! This Evoque comes with Land Rovers 6 year / 160,000KM Certified Pre-Owned warranty. What an amazing package we have here. This practically brand new Evoque HSE comes with Land Rovers 6 year,160,000KM Certified Pre-Owned warranty (from in service date) Peace of mind driving! This Evoque also has some incredible options like the amazing 825Watt Meridian Surround sound,black contrast roof,blind spot monitor,traffic sign recognition,surround camera,and much more! The First Edition F-Pace is one pretty kitty! This F-Pace has the roaring 380HP supercharged V6 under its bonnet.. but dont worry,with its 8 speed automatic transmission it purrs along and gets very good fuel economy. This First Edition comes with Jaguars 6 year 160,000KM Warranty (from inservice date) and has all the amazing features you would expect in the flagship Jaguar SUV like,adaptive cruise control with active emergency braking,blind spot assist,heads up display,heated first and second row seats,LCD instrument panel,full LED headlights,keyless start,NAV,massive sunroof,and much more! ACCIDENT FREE,RARE UNIT WILL NOT LAST LONG.